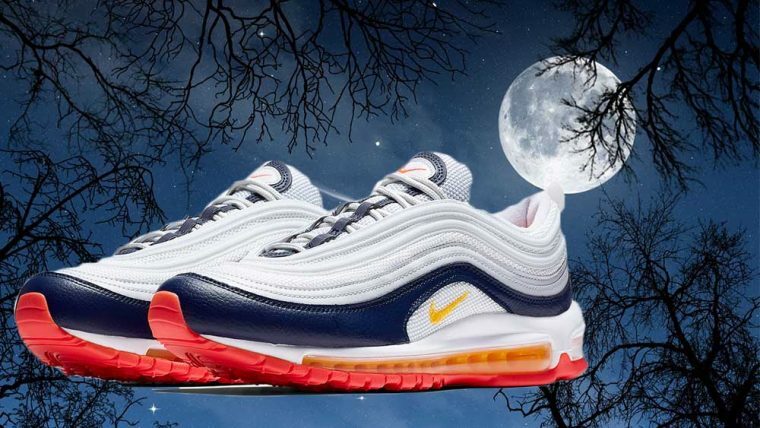 The Nike Air Max 97 has to be one of *the* most popular silhouettes of the moment. Nike has been delivering the goods with irresistible recent releases like the Have A Nike Day silhouette, the ultra feminine LX Pink Beige colourway, and the fierce and bold Red Leopard Pack. This time around, we’re being delivered something a little more mature and effortlessly stylish. 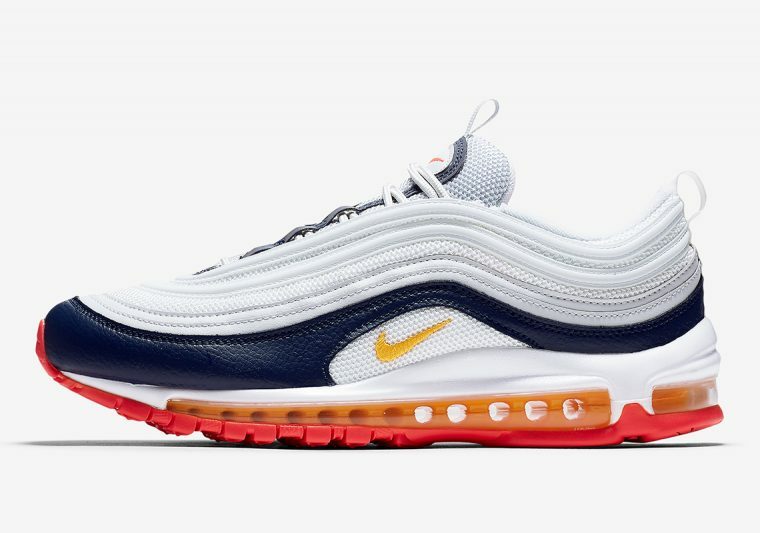 The Nike Air Max 97 in Midnight Navy and Racer Pink is definitely on our radar for when it drops in March. Instead of the usual colour blocking we’re using to seeing on 97s, the sidewalls show a mixture of tones layered on top of each other. Coming in an official Pure Platinum/Laser Orange-Midnight Navy-Racer Pink-Summit White-Summit White, these sneakers combine a mixture of bright and bold colour with understated, classic hues. Towards the top, the Platinum White mesh and leather are stacked on top of each other to decorate the waved upper, turning to a smooth deep navy blue leather lower down. 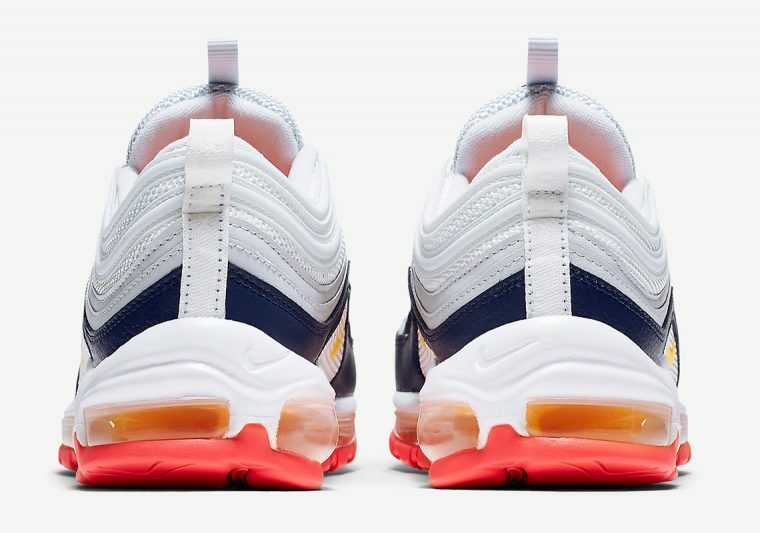 The full length Air Max Sole unit shows bright orange construction, and this brightness carries on underfoot, with a bold pink outsole for contrast. A midnight blue lacing unit complements the blue mudguard, with an orange mini Swoosh matching that same one that’s on the outer sidewall. And girls – it looks like this is going to be a women’s-only exclusive release! 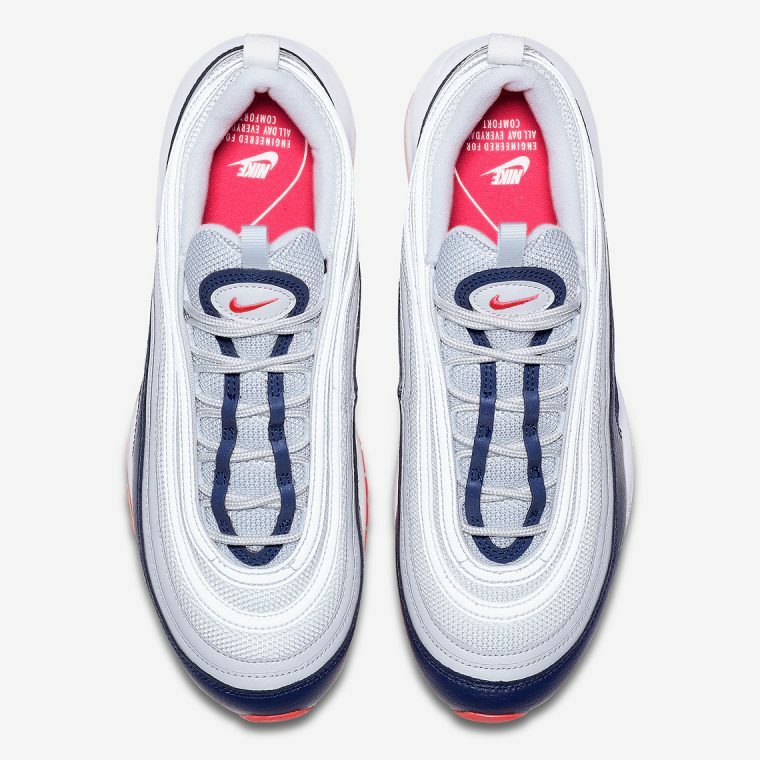 The Nike Air Max 97 in Midnight Blue and Racer pink is billed to release on the 1st of March, so keep it locked to The Sole Womens to find out where to grab a pair!